Be Empowered. Take Control. Get Better. At Agile North PT we pride ourselves on providing individualized care and expert treatment to help each patient reach their goals. Our controlled, caring environment and skilled practitioners assist patients through challenges as they progress in their treatment — providing the support, motivation and encouragement necessary along with teamwork and communication to ensure success. Our process enhances the confidence, independence and empowerment of each patient so they can get better and stay healthy. To provide expert individualized healthcare, to assist each patient in their recovery from injury and surgery, and to provide the tools and strategies to reach the highest level of wellness independently. We empower patients to take control of their health by providing the tools to help them recover and thrive long term. We believe when patients have the proper guidance and motivation they are able to progress through their diagnosis, strengthen their bodies, and manage their health. It's not worth comparing the other treatments with Bryan's program. His treatment helped, all the other treatments I had did not. Period. It would be like comparing a car with a rock. Improvements to my shoulders and elbow were immediate and lasting. They [the physical therapists] clearly and intelligently explained each part...They were great to work with and have my thanks and appreciation. Totally satisfied. Very positive and motivating. Nice attitude. Very educational. Bryan is the best in patient care...They educate you on your injury so that you can get your life back. They don't use a magic machine to treat you, you work it out yourself and learn how not to be a victim. It was a lucky day for me when I found them. I came to your office terrified and psychologically defeated. I was thinking about quitting carpentry and foreseeing a life full of pain and weakness. Bryan, you and your highly proficient staff defined recovery for me and somehow got me past the fear of re-injuring myself.....your perpetual optimism and "just do it philosophy" infected me in the best way. Labell PT is top flight in all respects! Love the fact that physical therapy is in a real gym. This makes transition to real world environment and equipment much easier. Thanks Bryan! Bryan's easy going but firm way and activity tailored pacing made my PT experience rewarding and has committed me to exercise consistently. 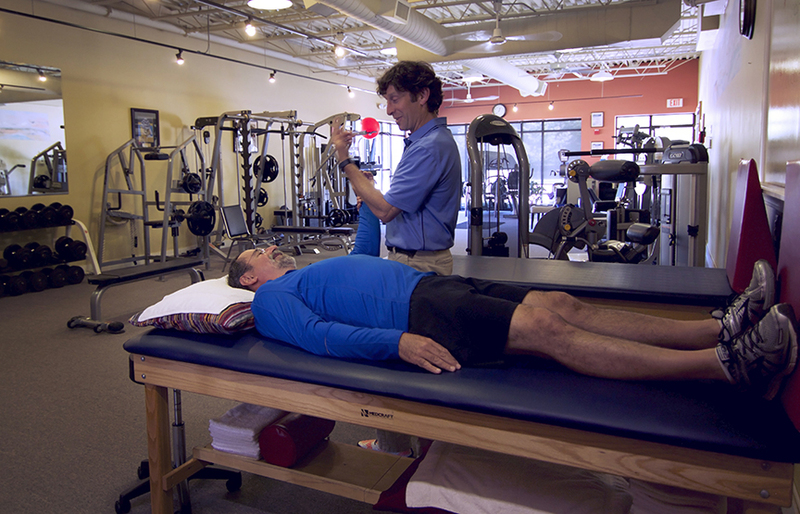 Bryan and staff explained and worked with me during my PT with patience always. I appreciated their enthusiasm when mine failed. Why Agile North Physical Therapy? ﻿What should I expect the first day? Bryan has been practicing since 1998 and in private practice since 2006. How many patients have you worked with? Do I need to have experience with exercise? We will assist you each step of the way toward success!